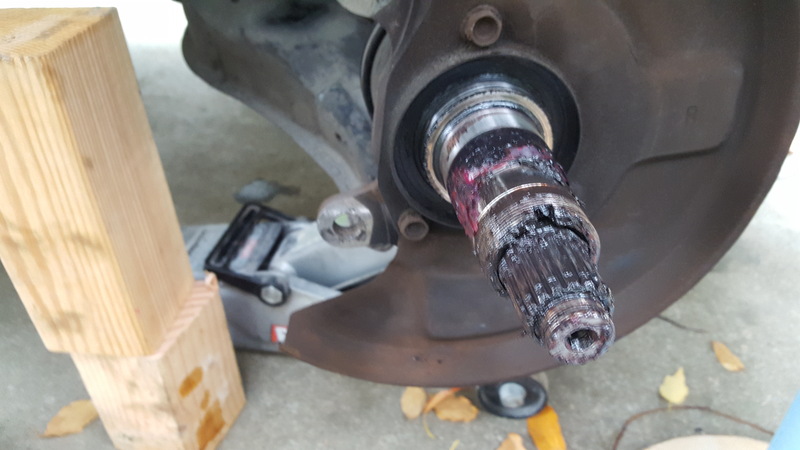 The outer race is smaller and my driver can install it. 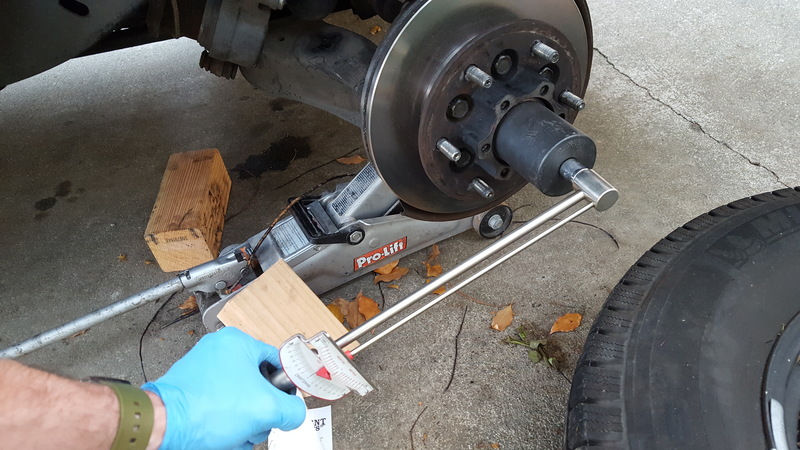 Much easier to use the right tool! 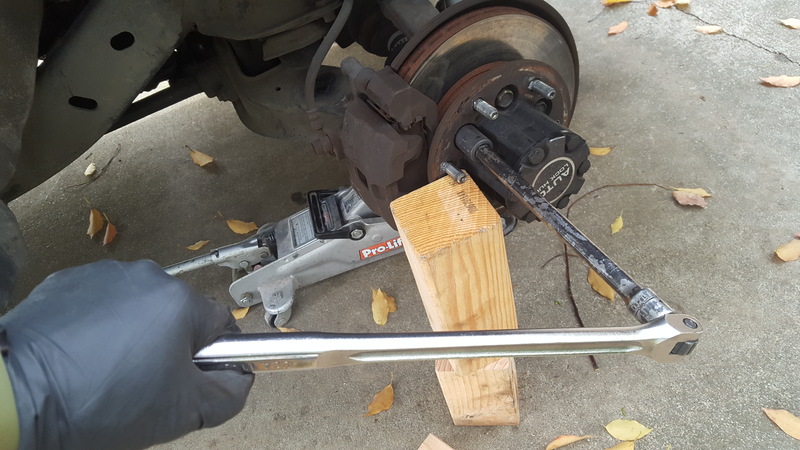 There are several tools that do this for you. 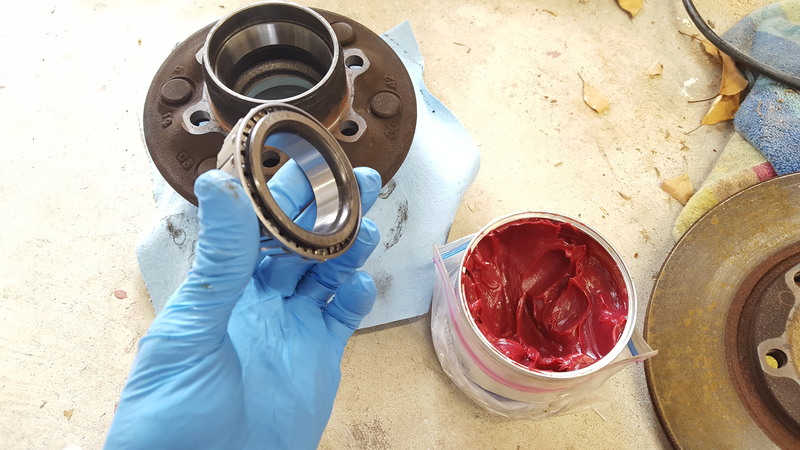 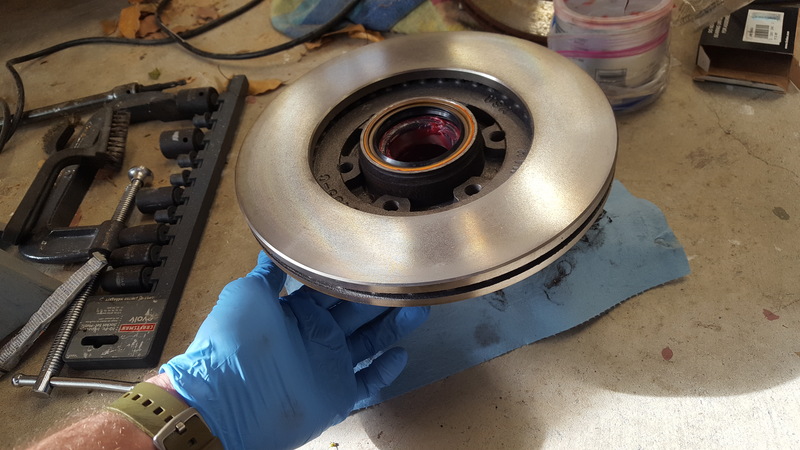 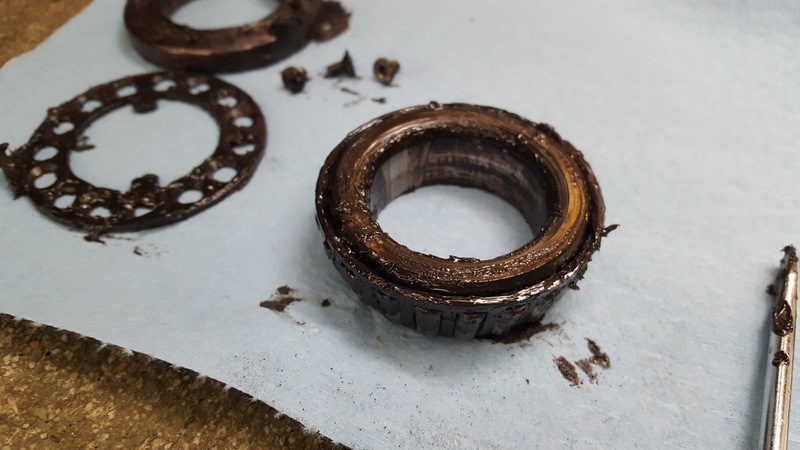 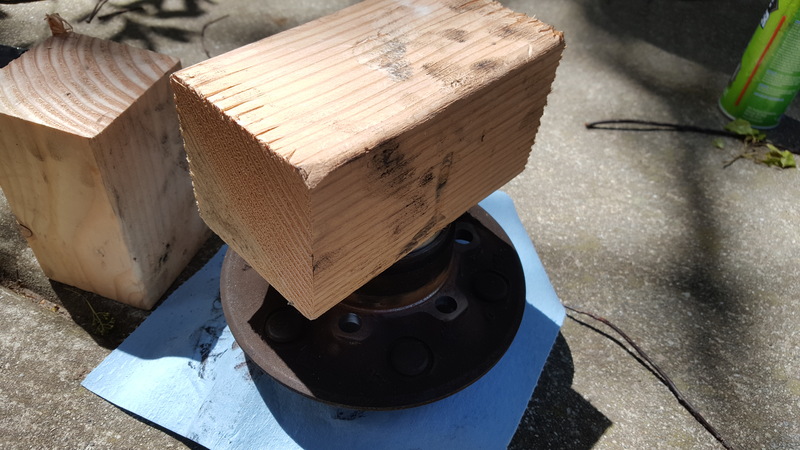 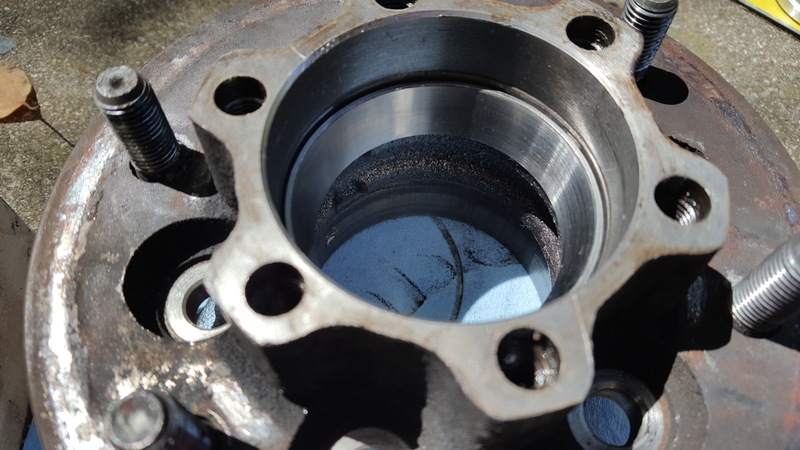 I am cheap though and just take a bunch of grease in the palm of my hand and work it into the open edge of the bearing until it squeezes through to the other side and then I make sure it’s coating the whole thing. 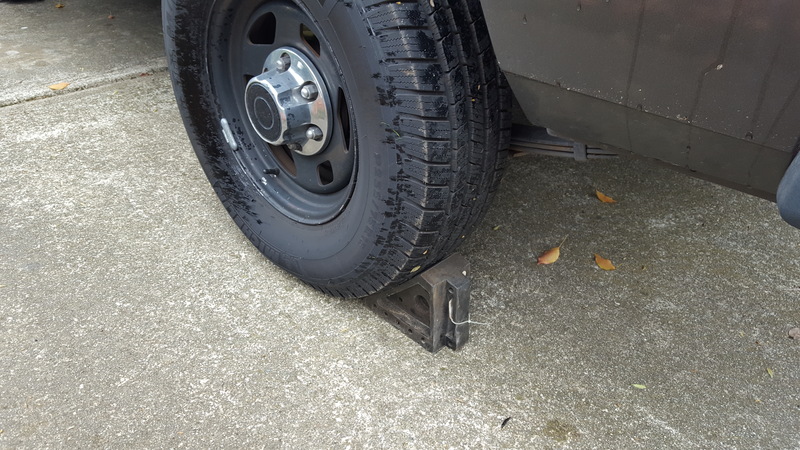 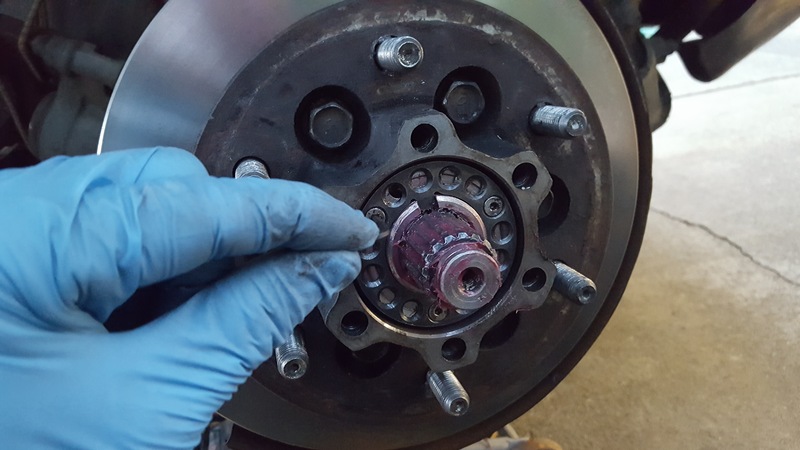 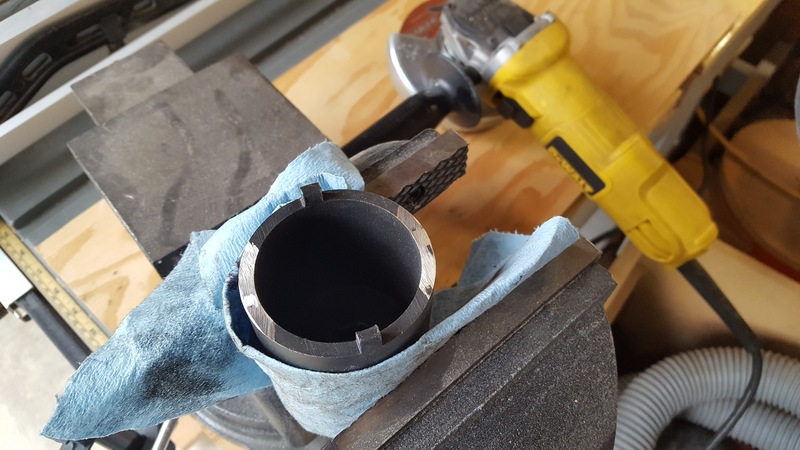 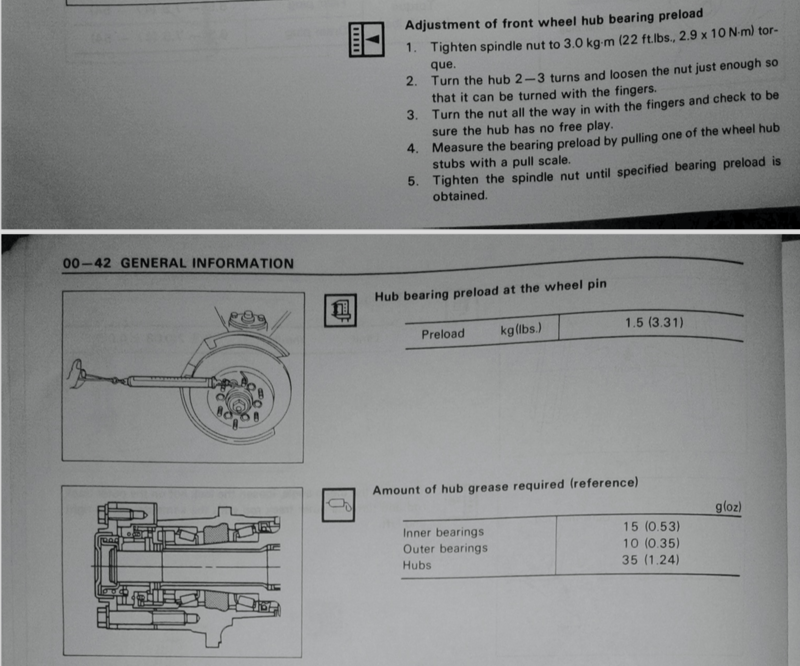 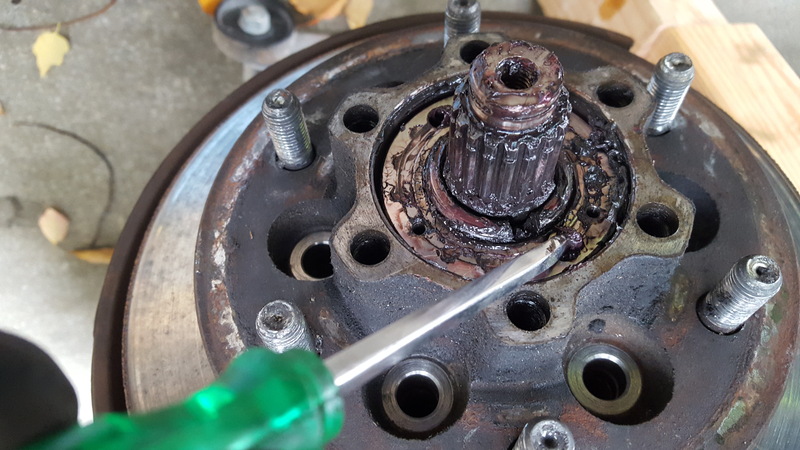 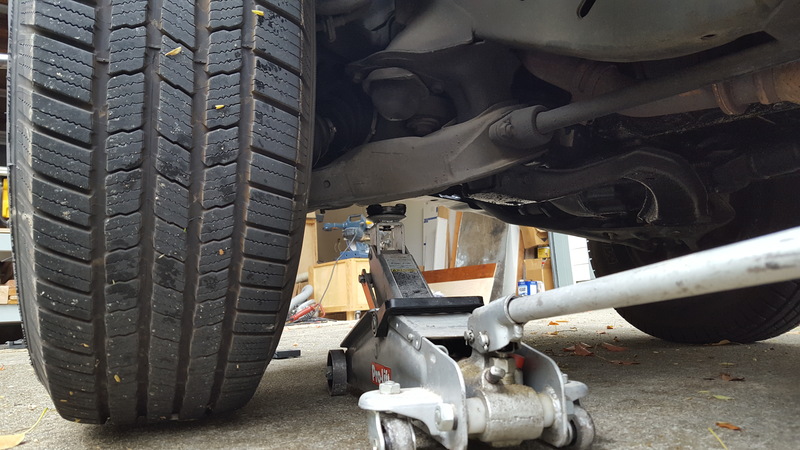 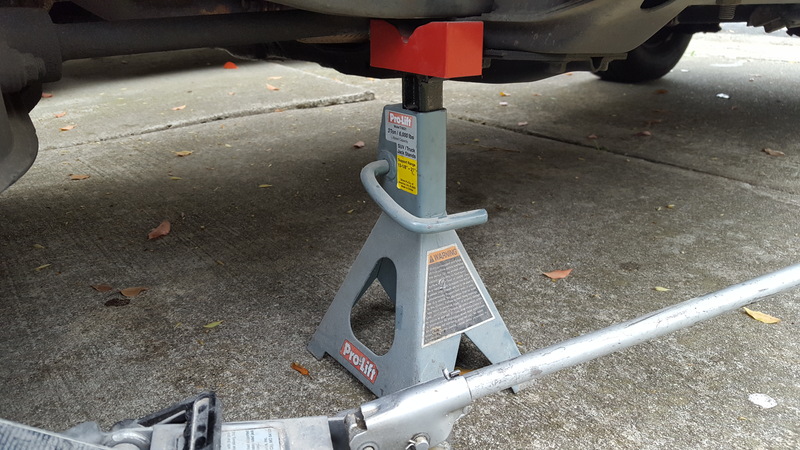 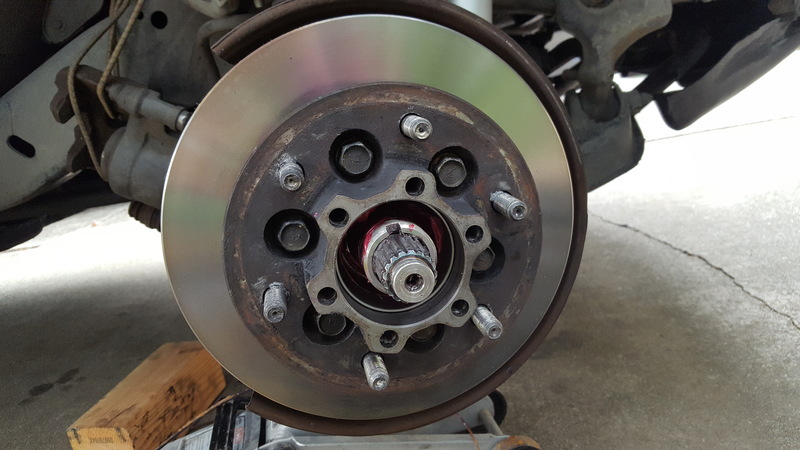 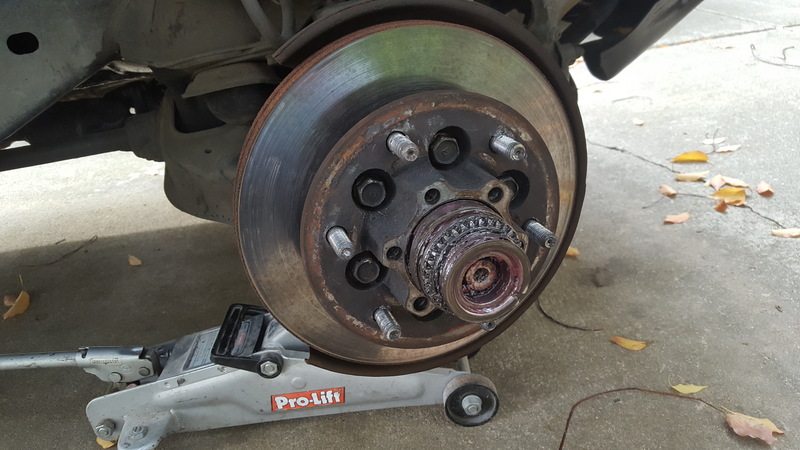 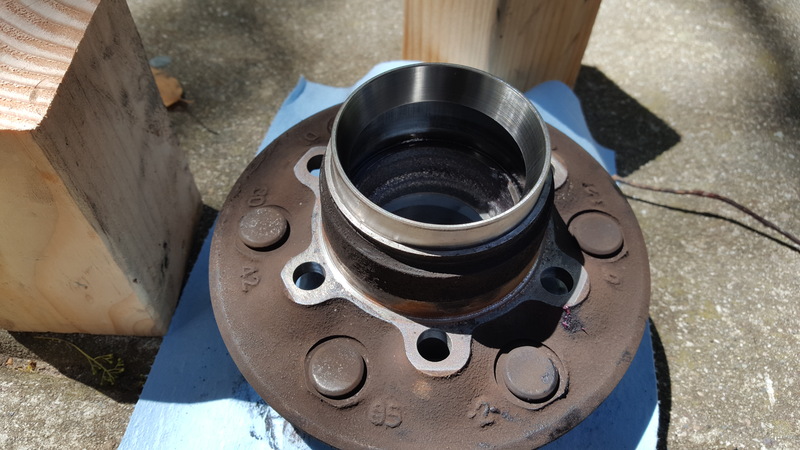 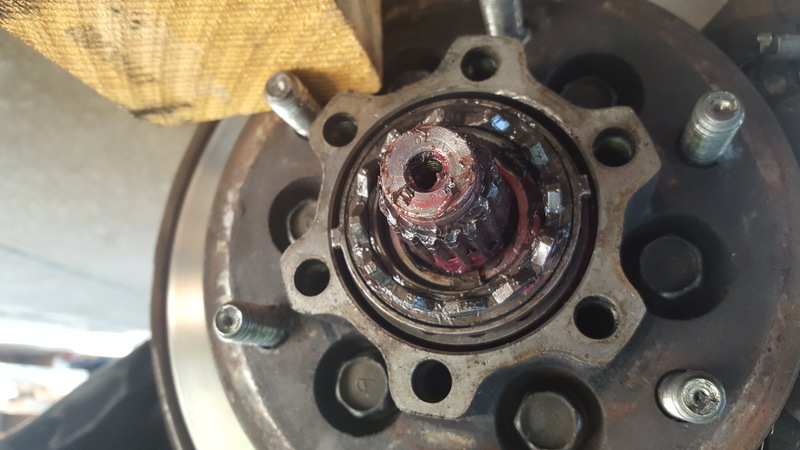 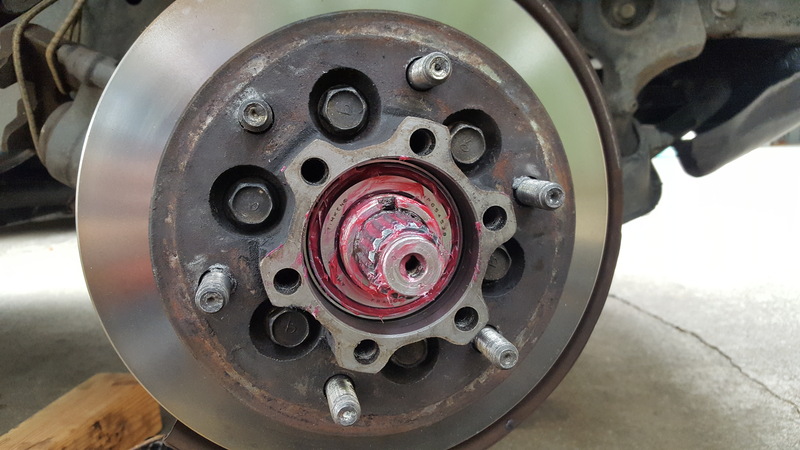 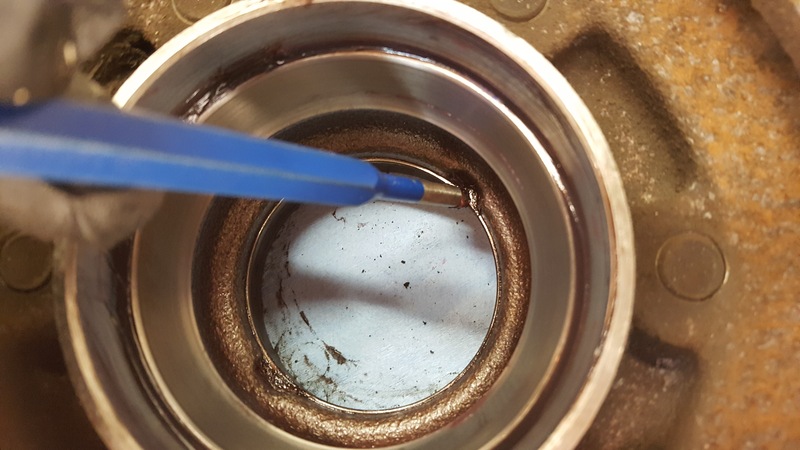 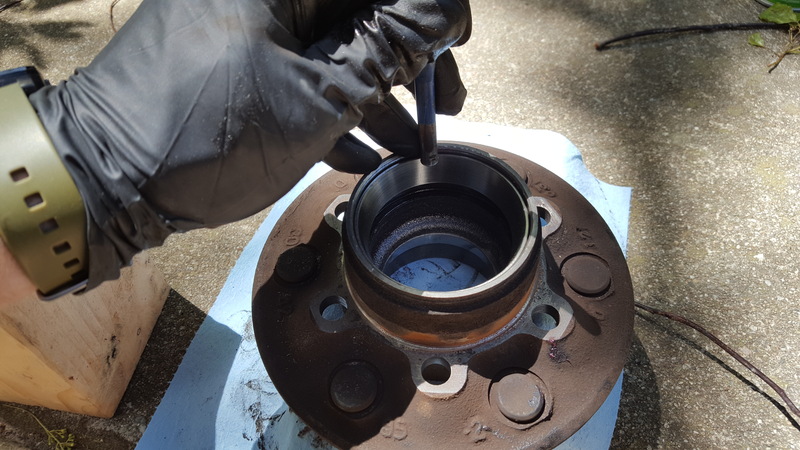 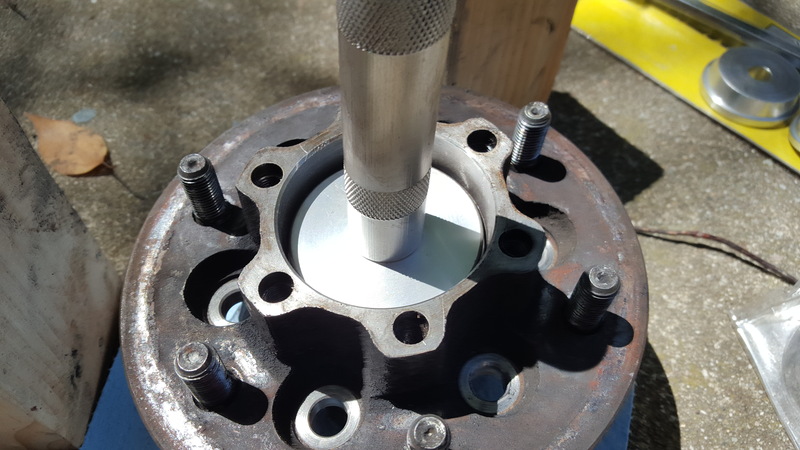 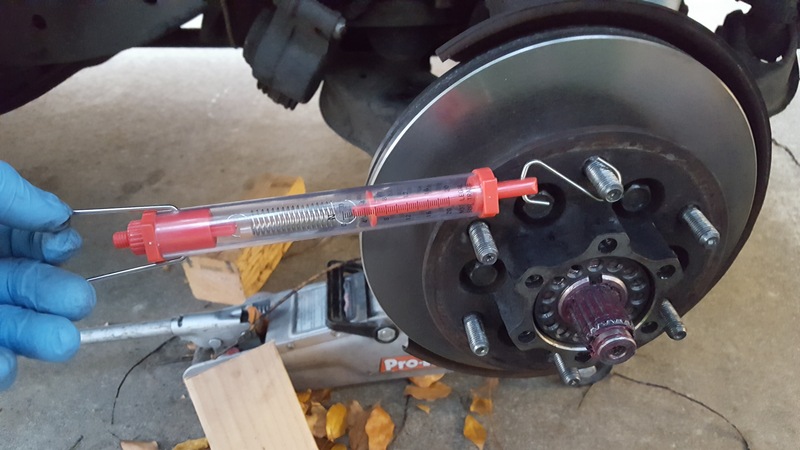 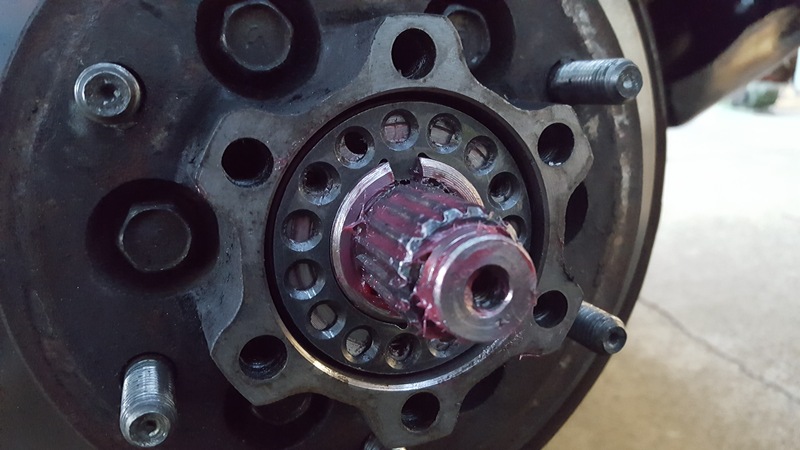 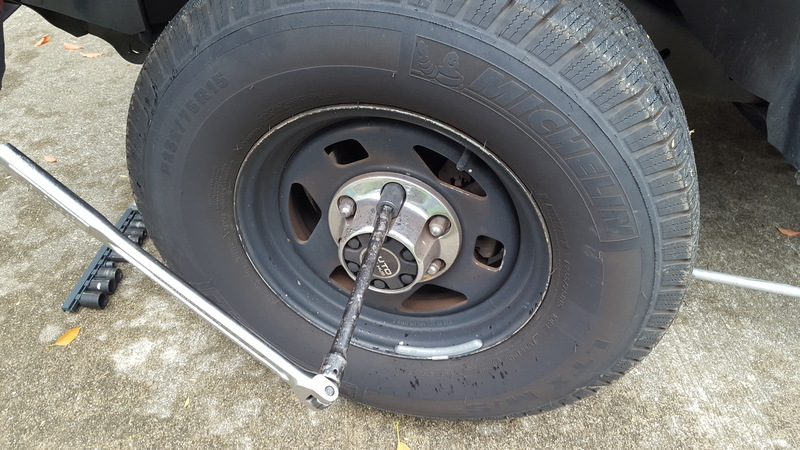 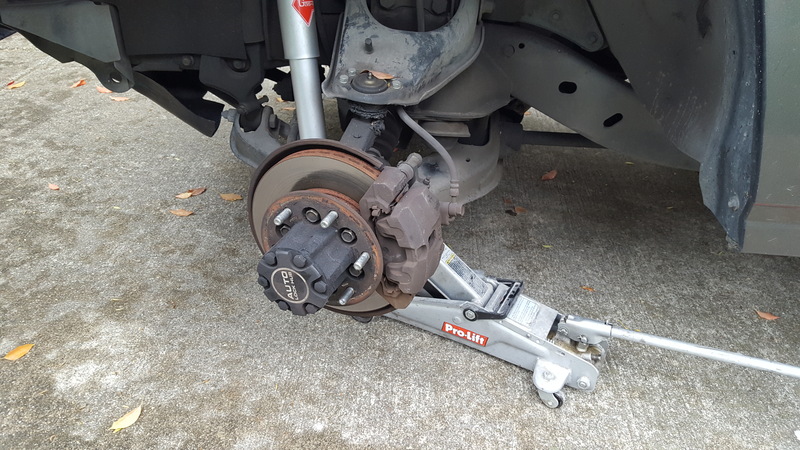 The procedure for setting the preload requires a way to tighten the hub nut and although you can do it by feel (I think many people do), the manual says to use a torque wrench. 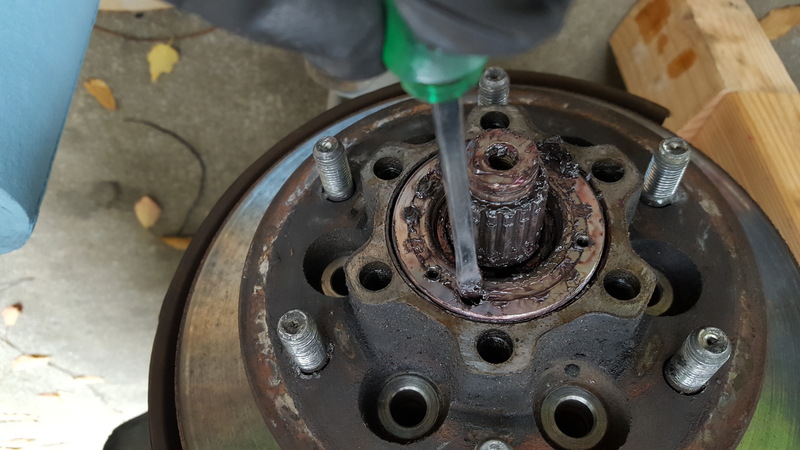 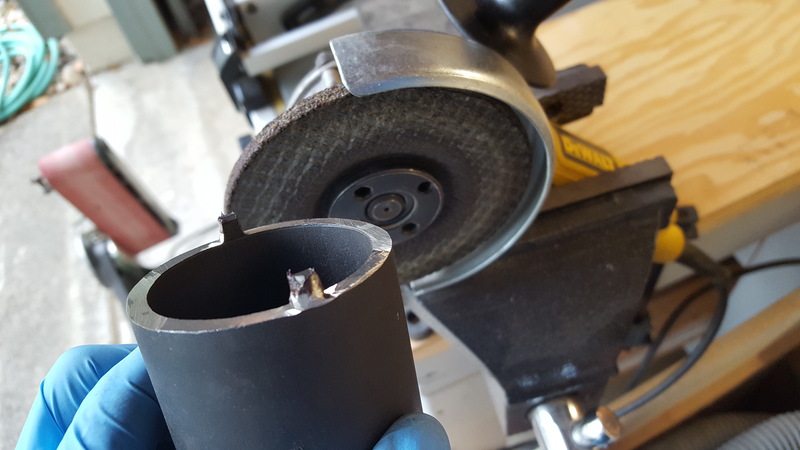 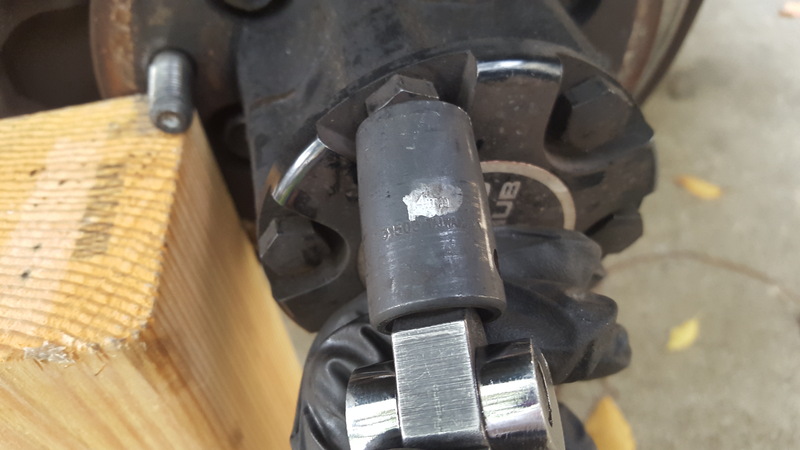 The cheapest way is buy a Ford 4-prong socket and grind off two of the prongs and grind down the other two to fit in the hub nut holes. 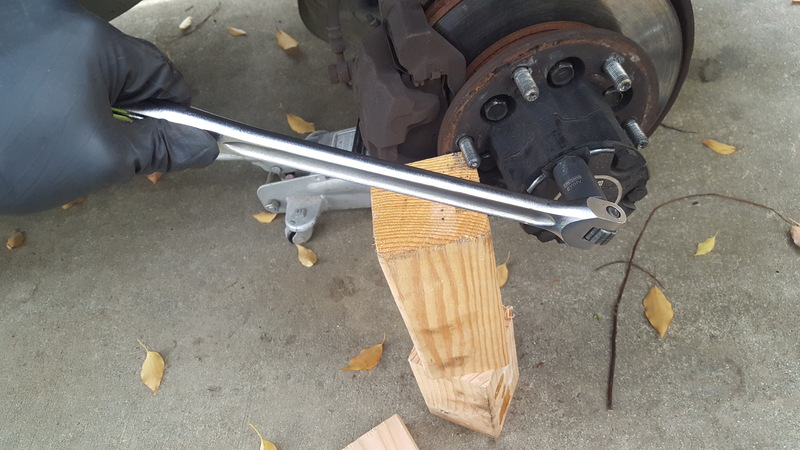 It cost about $15 for the tool. 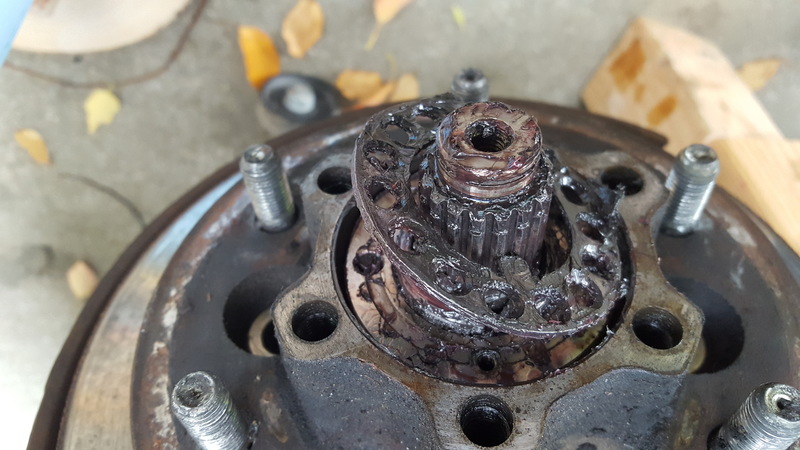 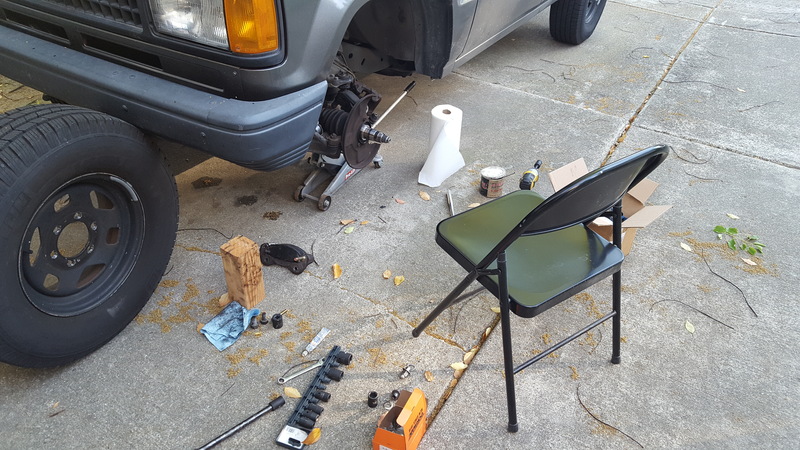 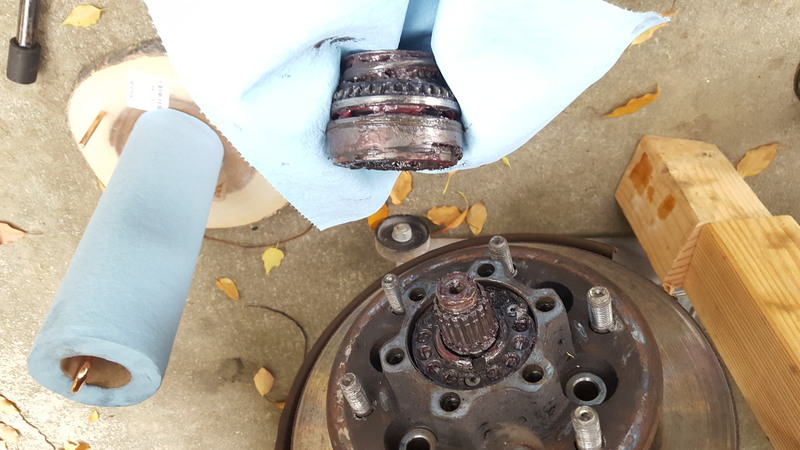 Now just reinstall the inner cam, the hub, reinstall the snap ring, reinstall the housing assembly, tighten the hub to rotor bolts, reinstall the brakes, put the wheel back on, lower the vehicle, and tighten the lug nuts. 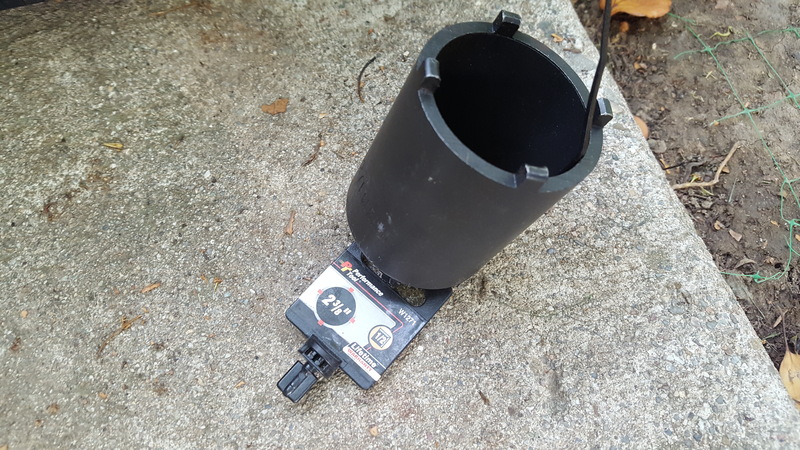 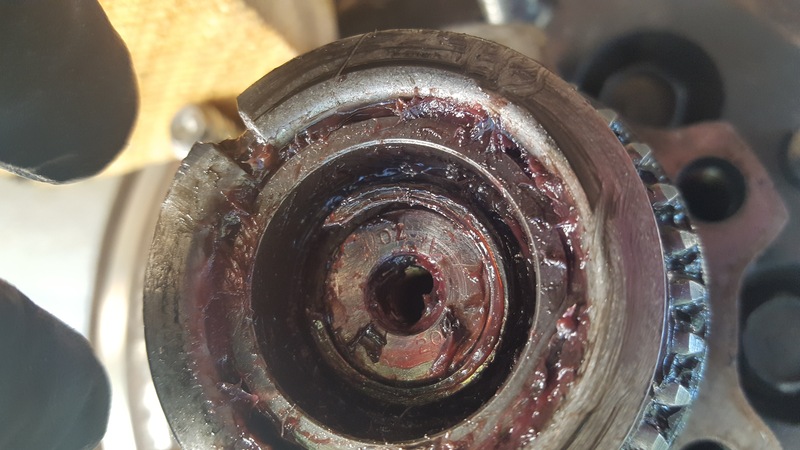 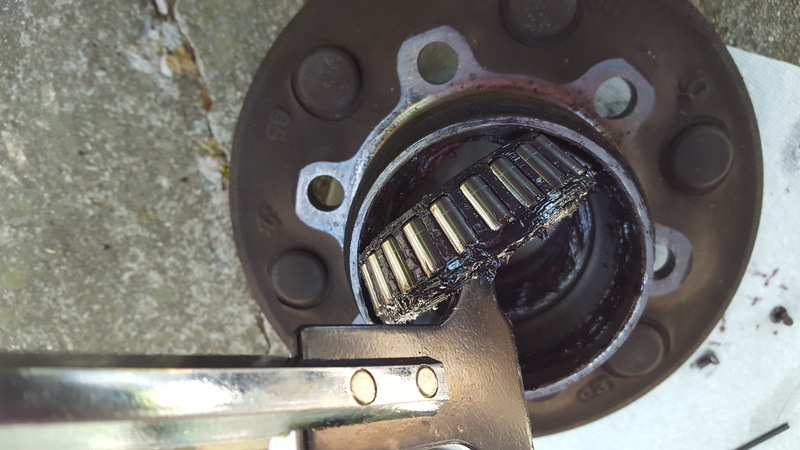 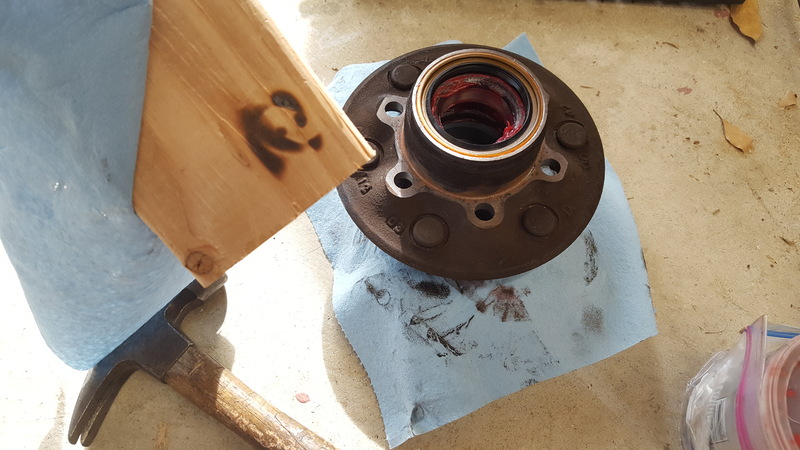 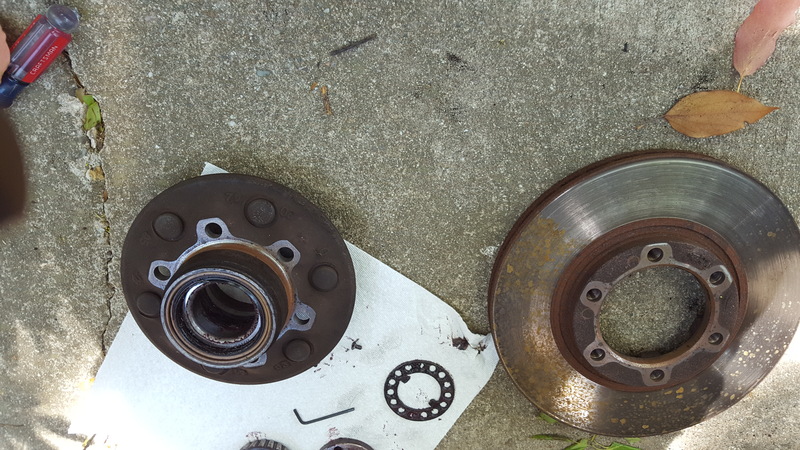 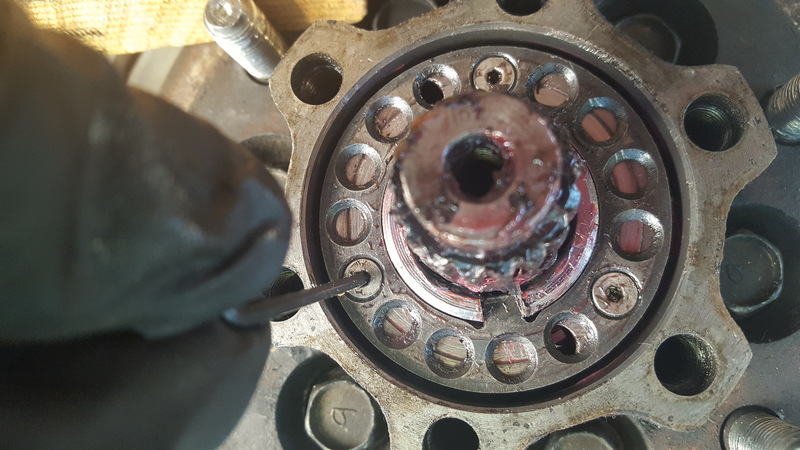 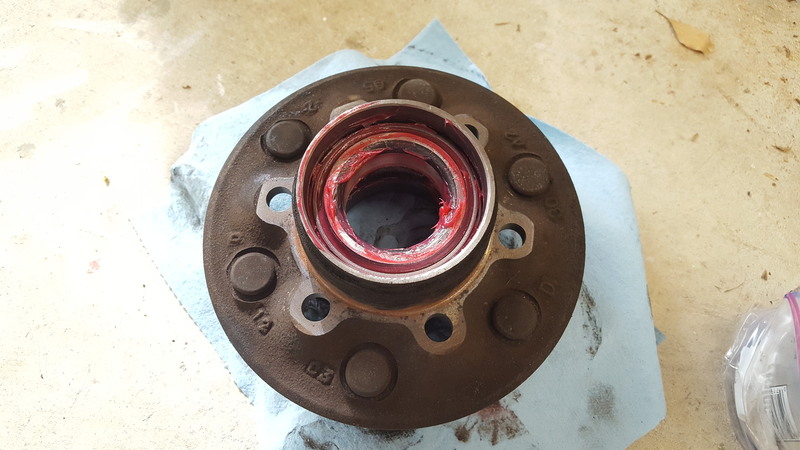 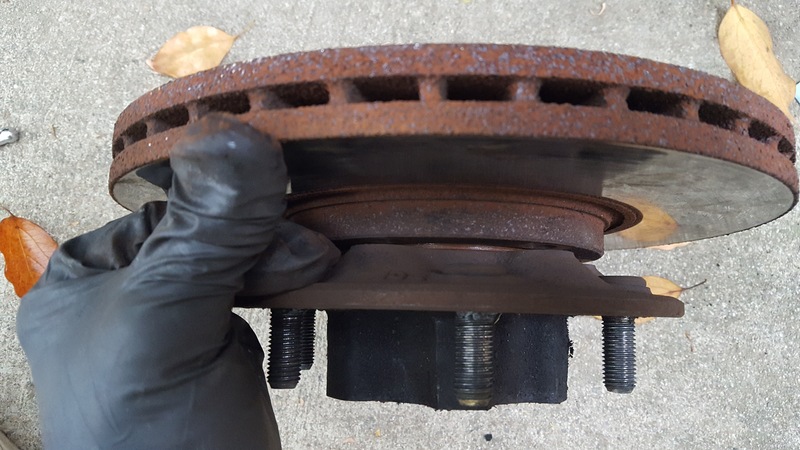 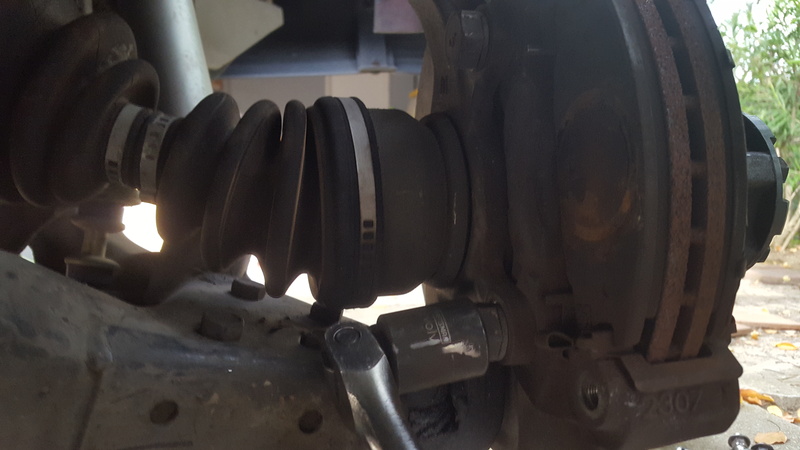 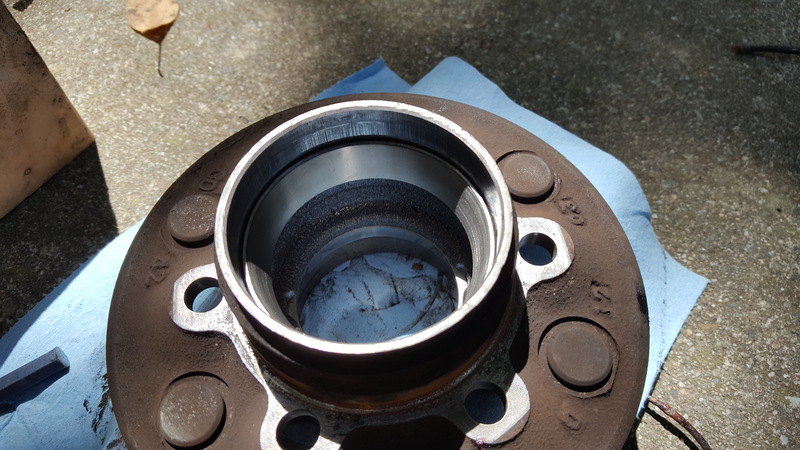 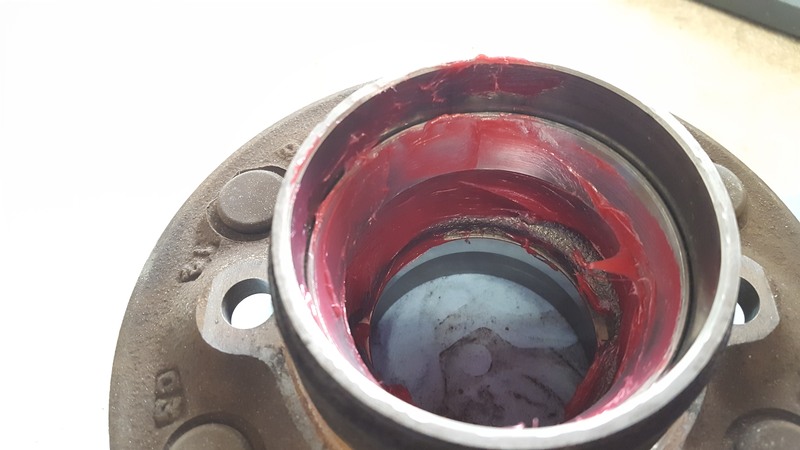 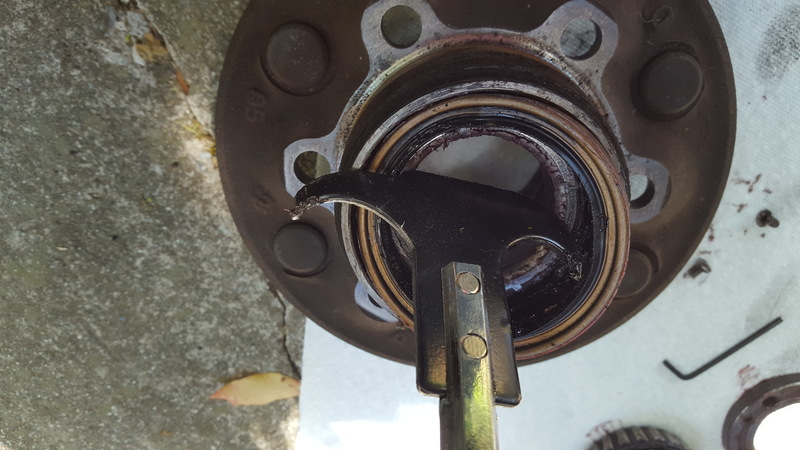 1 Pings/Trackbacks for "Replacing 1st Generation Trooper Front Wheel Bearings and Grease Seals"